Words and all photos except the main heading shot (from SsangYong), by Chris Adamson. 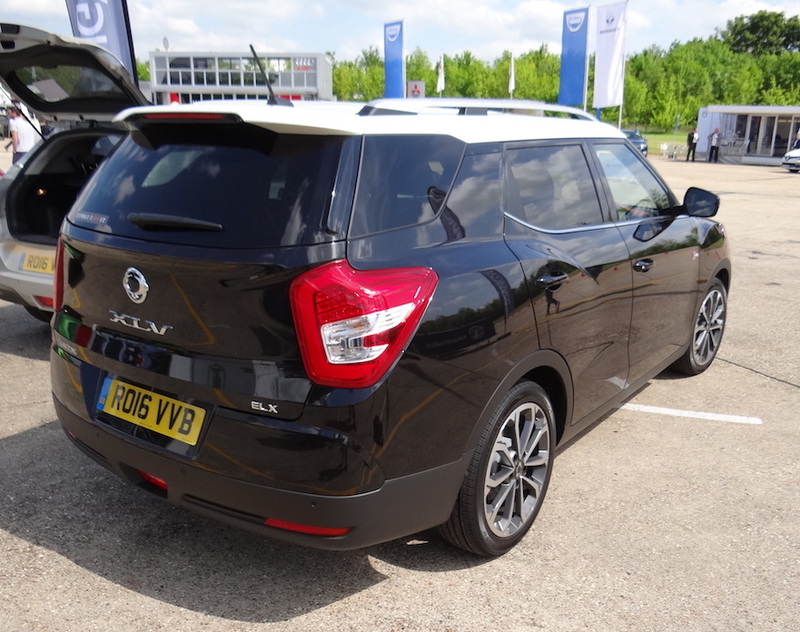 After successive offerings from SsangYong were roundly ridiculed for their styling and construction, the Korean car maker finally started to get things right last year when it unveiled the Tivoli, a good looking compact sports utility that was well proportioned and functional. Already competitive when it came to luggage space, SsangYong felt that wasn’t enough so they have stretched the Tivoli body and added another 238 mm (9.37 in), while retaining the same 2,600 mm (8.53 ft) wheelbase, to expand the original 423 litre (14.94 cu.ft) load area to a highly competitive and cavernous 720 litres (25.43 cu.ft). This is accessed through a high lifting hatch with a convenient height load floor which is free of most of the wheel arch intrusion. 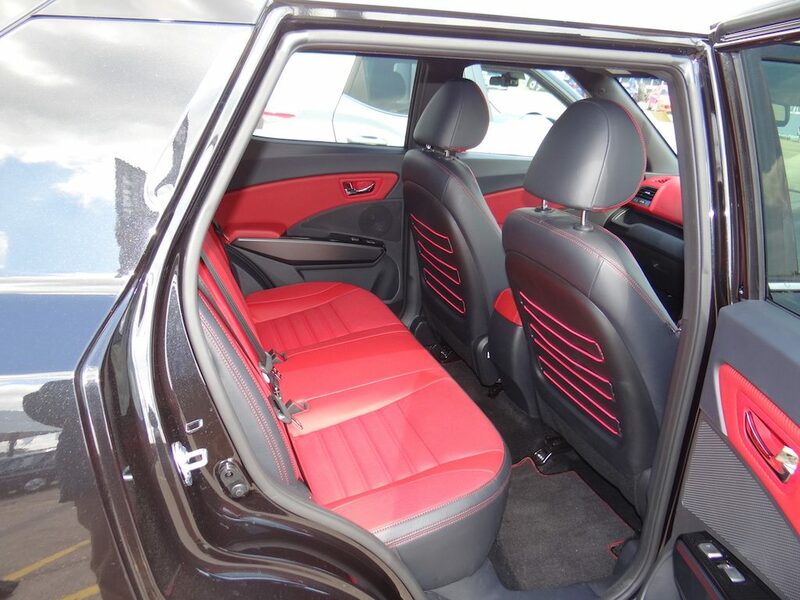 The two-third, one-third split rear seats can increase the cargo area further if necessary. In this new variant badged as the XLV the extra space comes from the C pillar back, and is identified by a large black and glass wraparound rear section that, it has to be said, is not entirely convincing. It looks just what it is, an add-on rather than a harmonious whole. Elsewhere the Tivoli can hold its own against the opposition in the fashion stakes with a strong front end and rising waistline, while the load area is readily accessed and versatile. Inside, SsangYong still has some way to go to match the best in class for fit and finish but the cabin is well laid out and practical and, in the case of the XLV, comes packed-out out with lots of equipment. The Tivoli XLV features digital dual zone automatic air conditioning, an infotainment system with RDS radio, 7-inch high-resolution touch screen, USB/AUX port, iPod and Bluetooth connectivity, Tom-Tom navigation and rear view camera. There is also electronic cruise control, parking sensors front and rear, rain sensing wipers, automatic headlight activation and stylish roof rails. The top spec. 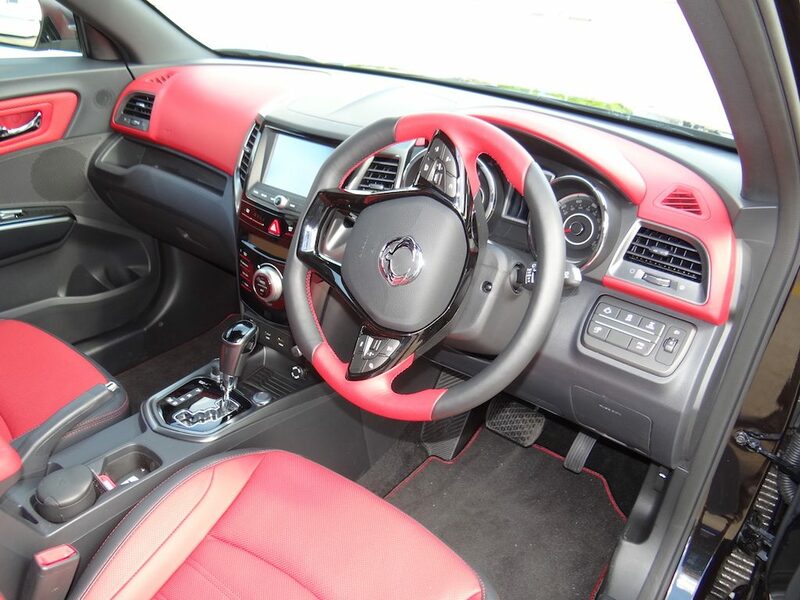 ELX can also boast leather front seats, privacy glass, automatic dipping rear view mirror and smart looking 18-inch diamond cut gun metal alloy wheels. Tivoli XLV is offered with a Euro 6 compliant 1.6 litre turbo-charged diesel engine, and is matched with the option of a six-speed manual transmission or six-speed Aisin automatic (as tested) and the choice of two wheel drive or four wheel drive (as tested). 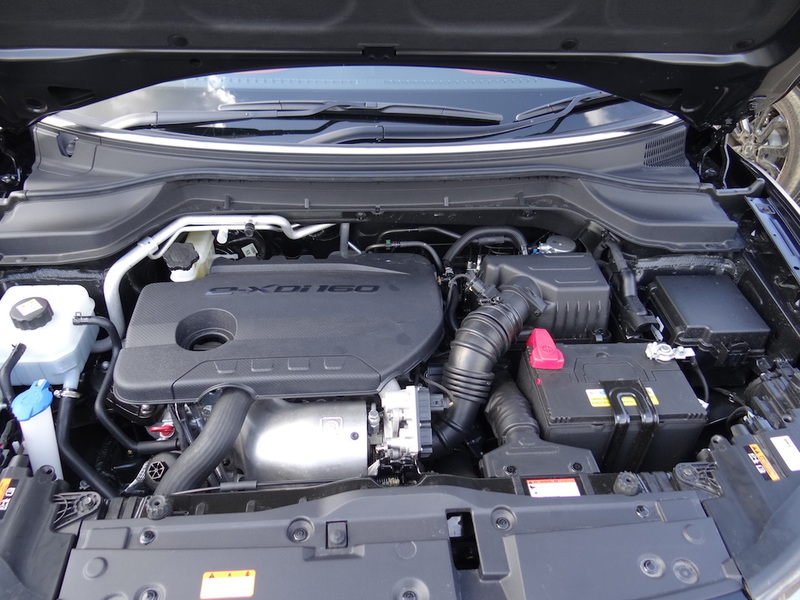 The newly developed e-XDi160 diesel produces a modest 115 PS but needs to be revved quite hard to get the most out of it, which does raise the noise levels until it gets a long stretch of road on which to settle down. Once up and running, the XLV will happily bowl along all day (especially with the automatic option) and is a relatively efficient, if unspectacular, performer. Drivers should be looking at well over 40 mpg (if not closer to 45 mpg) with the automatic and four-wheel drive version which is going to be the thirstiest of the lot. The makers claim that the two-wheel drive manual will raise this to in excess of 60 mpg due in part to the installation of stop/start. This also helps to keep the CO2 emission level down to 117 g/km for the two wheel drive manual transmission version, with the automatic four wheel drive model taking a big hit at 164 g/km. 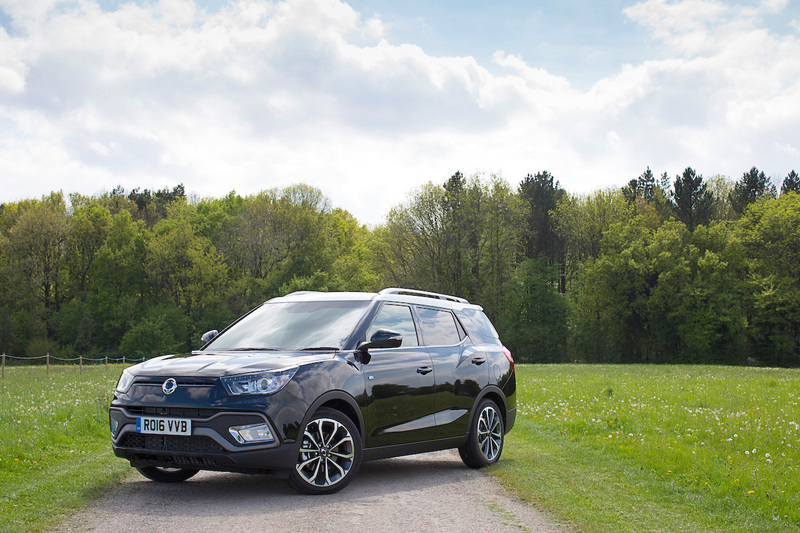 Although two wheel drive is likely to be the big seller due to purchase price and running costs, the Tivoli XLV does offer the option of an intelligent four wheel drive system. The electronically controlled on-demand system distributes power to the front and rear drive shafts and automatically adjusts to the road surface and driving conditions to optimise performance. In normal driving, the drive system distributes all power to the front wheels to enhance fuel efficiency, and automatically adapts to four wheel drive in snow or wet slippery conditions, by diverting power to the rear wheels as well to ensure driving stability. For increased traction, particularly when driving on a hill or slope, the four-wheel drive operates with Hill Start Assist which helps by delivering power to any wheels that are spinning. And for optimised braking performance and safety there is ESP (Electronic Stability Program), ABS as well as multi-function ESP Active Rollover Protection, and ESS (Emergency Stop Signal). On the road the XLV provides a class-matching ride with the suspension working well to iron out road imperfections without getting fiddly or nervous. On sale from August priced at under £20,000, which is just a £1,000 premium on the standard Tivoli, the XLV has the added attraction of a five year unlimited mileage warranty, which is good news for those with an eye on their outgoings. It may not be the most stylish or the best finished SUV in the market place but the Tivoli does everything competently and if you need to carry lots of luggage, children’s buggies etc, it does this with room to spare. Engine: 1597cc four cylinder Euro 6 turbo diesel. Transmission: Six speed Aisin automatic. Power: 115 PS @ 3,400 – 4,000 rpm. Torque: 300 Nm (221 lb.ft) @ 1,500 – 2,500 rpm. Price (On the Road): from: £19,500.